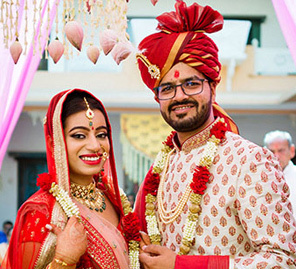 Atiya and Anuj’s elegant church wedding followed by a getaway in Goa saw a profusion of beautiful decor, exquisite floral touches and vibrant colors. Atiya - Wedding Director of Magnanimous Group and Anuj - Founder of RAW Pressery wanted their wedding to be an adventure. They wanted big smiles on everyone’s faces and a lot of partying so they went with the flow and brought a little experimentation to the process. The couple shares highlights of the grand celebrations captured in beautiful frames by The Photo Diary. “The Catholic ceremony was held at the Wodehouse Church in South Mumbai. It was a 45-minute ceremony that incorporated the exchange of vows. 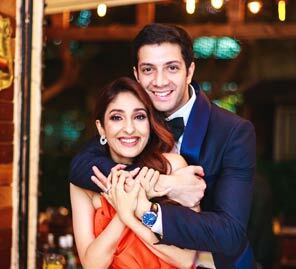 It was heavenly for us!” While Anuj wore a Troy Costa creation, Atiya looked gorgeous in an Elie Saab gown. “Goa was one of the massive highlights for us, sitting down to dinner with all our friends, spending time with them. Hearing all their speeches made us feel so warm, happy and grateful knowing they were a part of this journey.” The décor for this evening had a bohemian vibe to it. With large dream catchers, candles and florals all around, the venue looked beautiful in the evening.